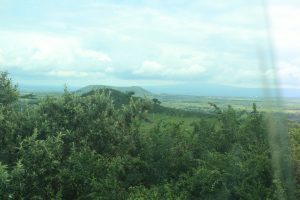 One incident that really changed me on this trip was when we visited the town Maai Mahiu for the first time. We did some home visits and saw the living spaces of two young girls who were high school age but could not be in school because their families could not pay the school fees. After that day, seeing all of the poverty and despair, we all came back to the Daraja House and just cried. I remember feeling so overwhelmed and helpless at how to respond. 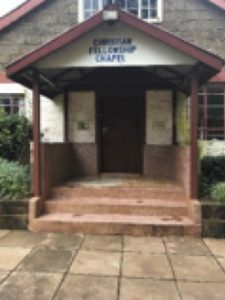 My faith was broadened because of this experience by seeing the Kenyan Christians relying completely on the Lord and how Isaac and Esther are a bright shining light to the people of Maai Mahiu. I couldn’t help but think of Romans 12:21: “Do not be overcome by evil, but overcome evil with good.” It was so powerful to witness Esther and Isaac working together to bring glory to God’s kingdom and shine their light in Maai Mahiu when at times it can seem so dim. It encouraged me to not be afraid and to shine the light of Christ no matter where I go. The course readings and discussion were so helpful in preparing to leave for the trip. It really gave me a taste of what we were going to be seeing and experiencing on this trip. 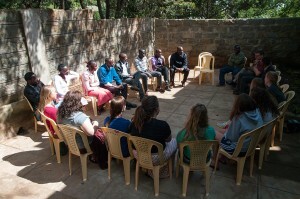 It helped me to be more thoughtful about the culture that we were going to immerse ourselves in. And it also helped us as a team to have cultural humility when we would encounter things that were quite different from what we were used to.